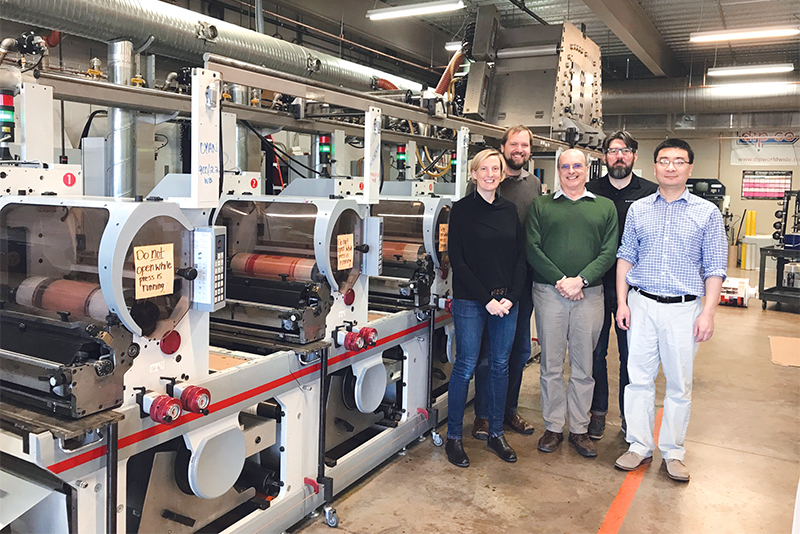 The California-based construction and technology services company Katerra has joined Clemson’s Wood Utilization + Design Institute as a founding member, giving $50,000 toward the institute’s mission of researching, educating and providing resources for industry stakeholders in a variety of disciplines to advance wood-based products. 12.9 million acres — is forested. 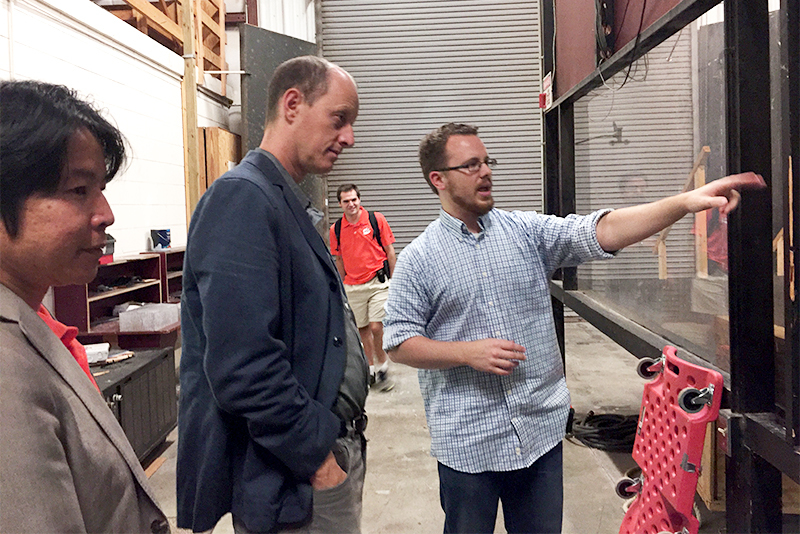 Clemson’s Wood Utilization + Design Institute is strategically positioned to drive the development, demand and use of wood products and to address the industry’s needs for the next generation of talent. Researchers with the institute currently are testing cross-laminated timber to determine burn rates, wind resistance and structural load. The Sonoco Institute of Packaging Design and Graphics welcomed worldwide content identification company Digimarc Corp. as a new corporate member. Digimarc supports research and development activities, stimulates educational opportunities and ensures cutting-edge laboratory infrastructure at the Sonoco Institute. The membership program is a three-year commitment that includes benefits such as discounts on industry-aligned seminars and workshops, print testing and evaluation services, and an invitation to an annual members-only symposium. Member support allows the institute to provide professionally staffed and equipped research, development and demonstration facilities at Clemson; ensure top-quality seminars and workshops; host interdisciplinary networking and business development events; stimulate cutting-edge graduate student talent; and continually enhance student experiences. Tripp and Anne Jones’ tailgating tree isn’t the only thing that has grown over the years. Tripp and Anne Jones have been tailgating in the same spot at Clemson for a long time — long enough that they have watched a tree grow up alongside their children and grandchildren. But the length of time they have been a part of the Clemson Family is just a small indication of their commitment to the University. The couple’s story began on April 11, 1970, when they met on a blind date as Clemson students. Tripp graduated in 1971, and Anne finished in 1973. After getting married, the couple settled on Lake Murray near Columbia. 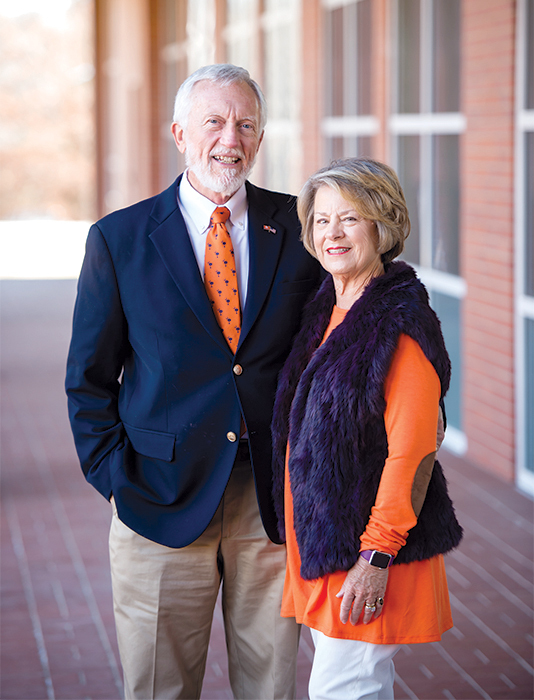 Tripp practiced as a medical oncologist until his retirement, and inspired by their experiences at Clemson, the couple decided to give back to their alma mater. At Anne’s suggestion, they designated their gift toward student scholarships, and because of Tripp’s degree in zoology, they reserved their scholarship for students from Lexington County who are studying biological sciences. Not only do Tripp and Anne want to be a part of students’ educational journeys, but they stay connected to Clemson through several other avenues. Tripp is a member of Tigers on Call, a group of physicians who mentor students interested in the medical field. They are avid football fans and try not to miss Saturdays in Death Valley; Tripp even expresses laughing concern that if he’s not there, the Tigers might stumble running down the hill. Though the football team could likely pull off a successful game in Tripp and Anne’s absence, other students’ success might not be as certain. Without the family’s generosity, several students’ college experiences would look quite different and present more daunting challenges. As the Joneses have returned to Clemson football season after football season to find the same tree growing steadily at their tailgating spot, their connection to Clemson has grown along with their commitment to giving back. The fruit of that commitment will benefit many for years to come. 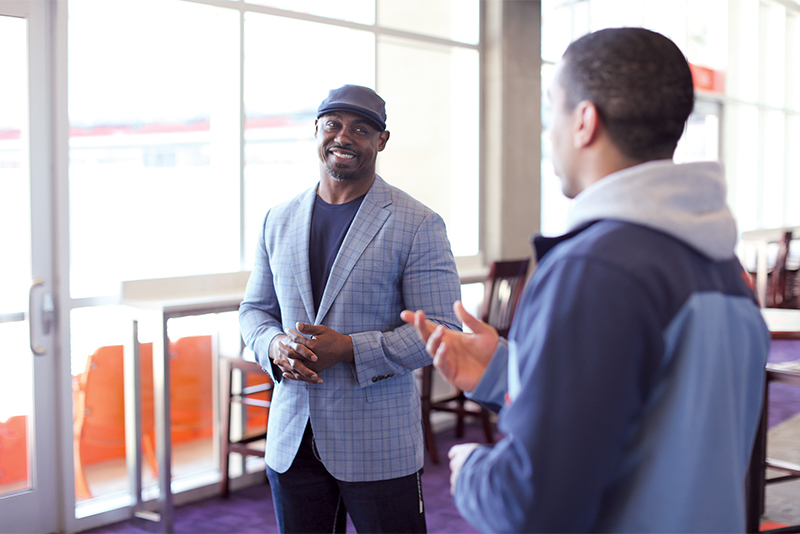 Brian Dawkins ’96 wasted no time in making a name for himself once he set foot on campus at Clemson. He spent his freshman season on football special teams and earned a starting role at free safety his sophomore year. Three years, one all-ACC honor and one second-team All-America honor later, Dawkins was selected by the Philadelphia Eagles in the second round of the 1996 NFL draft. He played in the NFL for 16 seasons with both the Eagles and the Denver Broncos, earning Pro-Bowl honors nine times. He was named to the Philadelphia Eagles 75th Anniversary Team and the NFL 2000s All-Decade Team, and he holds the record for the most fumbles forced by a safety — 36 during his career. He is a member of the Pro Football Hall of Fame Class of 2018. Though Dawkins’s NFL career has ended, his impact continues to grow. In 2009, he and his family established the Dawkins Family Scholarship Endowment at Clemson to provide scholarships to students from underrepresented populations. Many students have already benefited from the Dawkinses’ generosity, and more will follow in their footsteps. For Jelani Murray, receiving a scholarship from the Dawkins family allowed him to attend Clemson and to meet people who share his interests. He now plans to pursue a career in sports business. Haley McKee has a similar story: “When I applied to Clemson, the costs associated with being out of state were really scary. The scholarship that I received allowed me to be here today. Without this scholarship, I don’t think I would have been able to have some of the best experiences I’ve had yet in life.” After McKee finishes up her nursing degree, she hopes to work in a pediatric hospital, potentially in hematology or oncology. 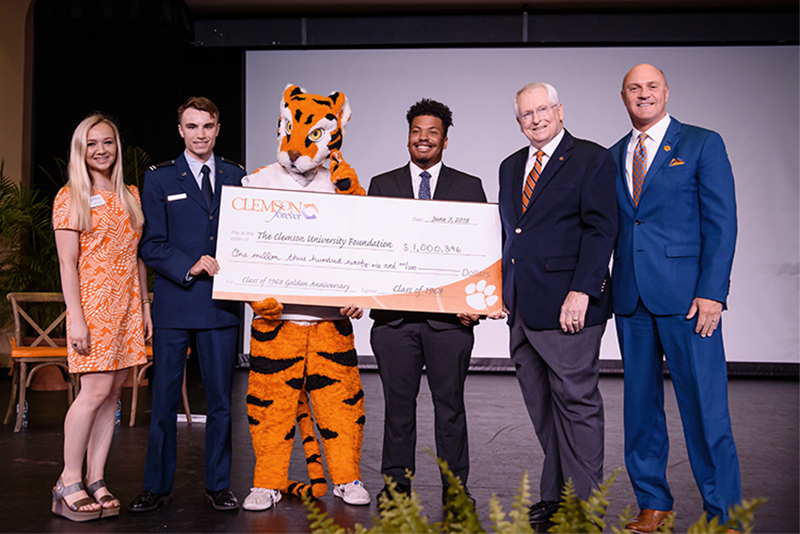 Though many students have discovered their talents and awakened their professional ambitions at Clemson, their journeys may not have included the University if not for the generosity of scholarship donors — which is exactly why Dawkins chose to give. A retired Greenville executive and philanthropist is turning his attention back to Clemson, where his recent gift to the chemical and biomolecular engineering department is the largest in the department’s history. 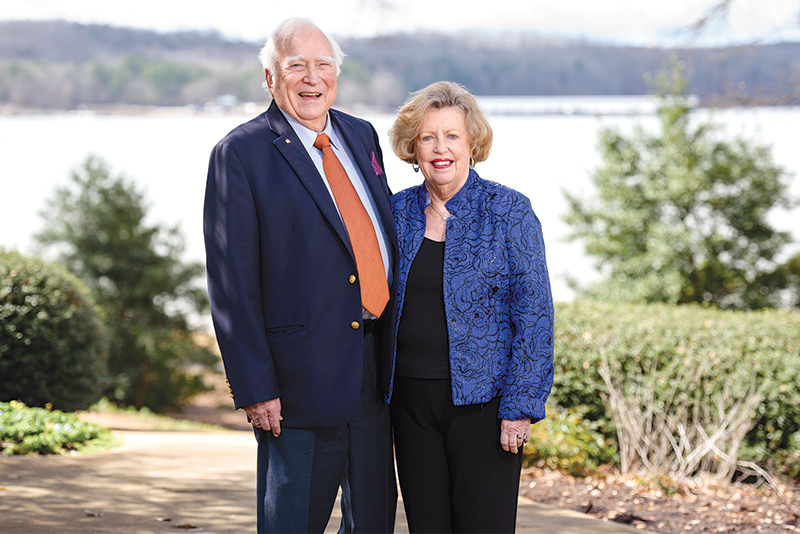 William Sturgis ’57 and his wife, Martha Beth, are contributing $600,000 to create a distinguished professorship in the department. They plan to double their contribution in their will. The faculty member selected for the professorship will be able to use funds generated by an endowment to support graduate and undergraduate students as they do research, learn about entrepreneurship and travel to national meetings to present their research. In a 37-year career, Sturgis was executive vice president of worldwide packaging operations at specialty chemical company W.R. Grace and president of its North American Cryovac division. Upon retirement in 1997, Sturgis received the Order of the Palmetto, the state of South Carolina’s highest civilian honor, and a commendation from the state House of Representatives. Sturgis said he and his wife established the professorship because they wanted to do something for chemical engineering at Clemson, where he got his start studying under influential professor Charles E. Littlejohn Jr.
Sturgis, who grew up on a dairy farm in Rock Hill, recalled that his class at Clemson had 41 chemical engineering majors, 12 of whom graduated. He received his Bachelor of Science from Clemson in 1957 and later graduated from the Advanced Management Program at Harvard Business School. 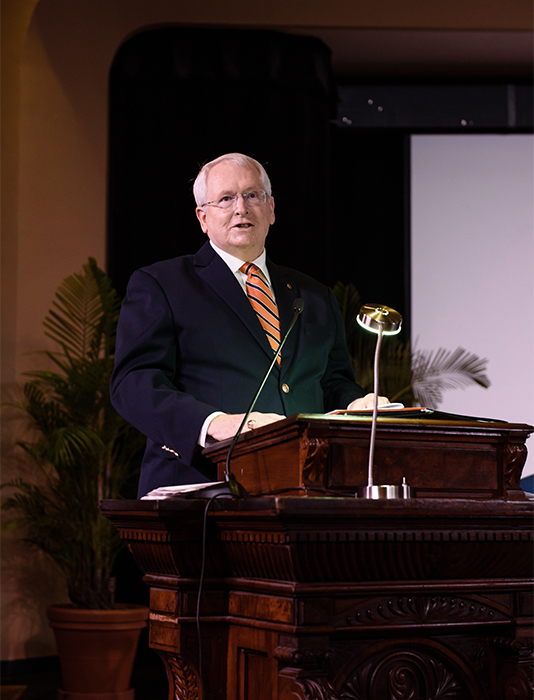 As an alumnus, Sturgis returned to Clemson and served as a member of the College of Engineering, Computing and Applied Sciences advisory board and as chair of the Clemson University Foundation. He was instrumental in beginning the packaging science program at Clemson and played a key role in steering a $2 million contribution for scholarships from Cryovac. The class of 1968 marked its 50th anniversary in June with a reunion celebration on campus and the announcement of a $1 million gift to Clemson’s Reserve Officers’ Training Corps (ROTC) program and scholarships for Clemson students. Since graduating, the Class of 1968 has given more than $17 million for University programs.